This is a Driver Figure torso that may be used on any vehicle with a little imagination and fitting ingenuity. Also, you can add some character to your WR-02 chassis model with this torso figure of a driver. It requires little modification to be attached to WR-02 chassis machines like the Volkswagen Type 2 (Item 58512) and the Suzuki Jimny (SJ30) Wheelie (Item 58531 etc. ) . 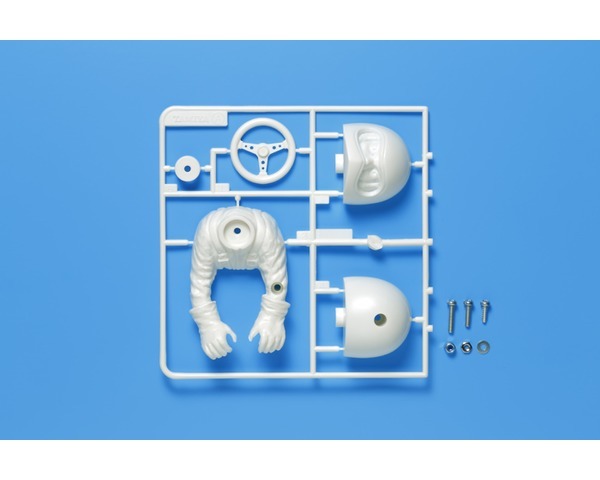 Driver torso figure x1 piece.